This one packs a punch. It’s a bit like a shotgun in your mouth. 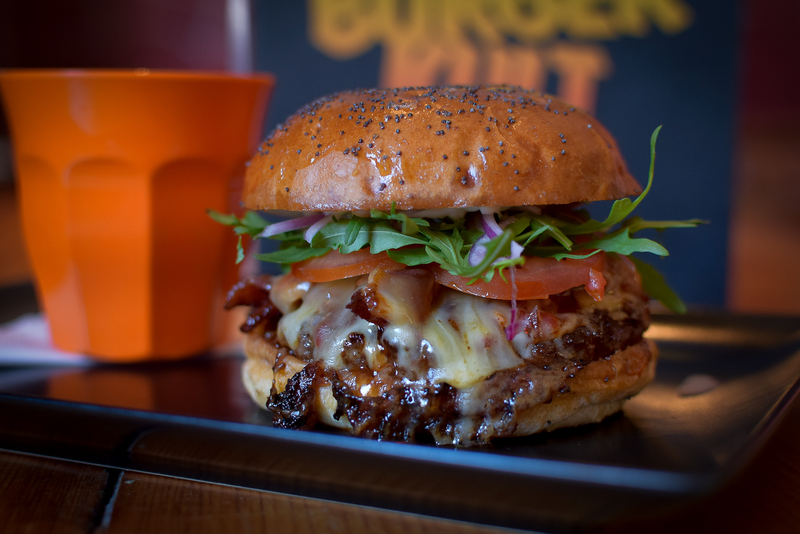 Butter-griddled ground chuck steak with our homemade chilli, bacon & Bourbon jam; topped with melted St Giles cheese, fresh rocket, shaved red onion, sliced plum tomatoes & mayonnaise. Hot, smoky, sweet, gooey, deep, zingy and yet somehow refreshing. It’ll put a big smile on your face.